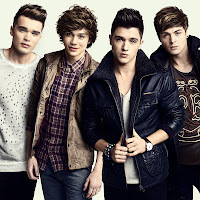 Hot on the heels of the success of their debut single ‘Carry You’, X Factor boyband sensations Union J have announced their first ever UK headline tour. The band will visit towns and cities across the country and will give fans the opportunity to hear brand new material from the boys. Since their time on the show it has been non-stop for the boys and have got off to an impressive start. With a top 10 single, over a million twitter followers, 9 million views on Youtube and a book deal in the bag, it would seem Union J’s limits are endless and 2013 is set to be their year.